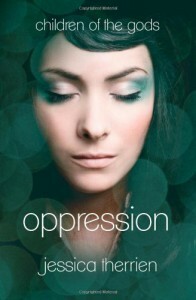 I just finished reading Jessica Therrien's debut novel, Oppression and - wow - loved it. I felt a connection with Elyse. I'm sure we've all had periods in our lives when we've felt like the loner or outsider. Well for Elyse, this is every day, all the time. It made me love her and want to give her a hug just because I felt she needed one. She was a very real and likable character. The bond between Elyse and Anna felt real. I was rooting for them through the entire book and was happy with how it played out. The supporting cast of characters. Some were quite amusing and all were endearing. I liked the ending quite well. Just when I thought I had it figured out, Ms. Therrien threw a fast ball in there and changed it up. I love when an author can do that. I had to think about this for a while. There was very little I didn't like about this book. I suppose if I had to nit-pick it would be that Elyse seemed to take things (I won't spoil what they are) a little too well. I think a lot of people would have been more bothered by some of what she saw and learned. But, this wasn't something that ruined, or even slightly marred, the book. A great start to what I'm sure will be a brilliant career for Jessica Therrien. 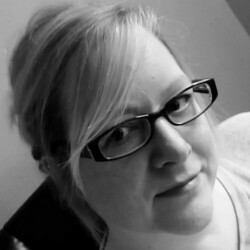 I'm looking forward to the sequels to Elyse's story, as well as other works Ms. Therrien has planned. If you haven't already, but Oppression and sit down for an enjoyable read.